Patrol Bombers: PBY-5 Catalina, P-2V Neptune, VP-1 "Screaming Eagles" P-3C, VP-8 "Tigers" P-3C, VP-17 "White Lightnings" P-3C, VP-26 "Tridents" P-3C, VP-30 "Pro's" P-3C, VP-46 "Grey Knights" P-3C, VP-40 " Fighting Marlins" P-3C, VP-65 "Tridents" P-3C, VP-69 "Totems" P-3C, VP-94 "Crawfishers" P-3C, CP-140 "Aurora", NRL NP-3D, EP-3E "Aries", NASA NP-3A, P-3 AEW "Blue Sentinel", YP-3A, CINCPACFLT P-3B, NOAA WP-3D, E-2C "Hawkeye", TBM "Avenger". All P-3 & P2V Squadrons are available! Helicopters: HH-60H Seahawk, SH-2 Seasprite, SH-60B Seahawk, HH-60B Seahawk. HH-3F Pelican, HH-65 Dolphin, HH-52A Sea Guard, HH-60J Jayhawk, All Squadrons Available! Yes we do non Navy aircraft Montages too! 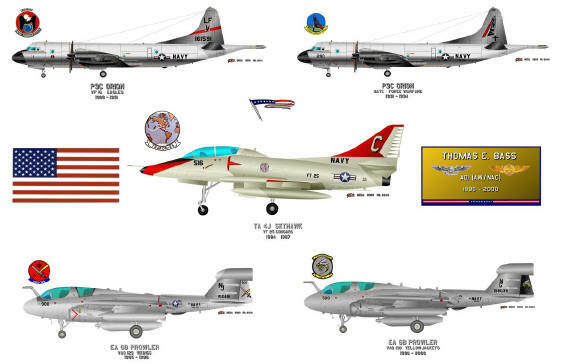 This is a sample montage we did for a Navy Pilot. 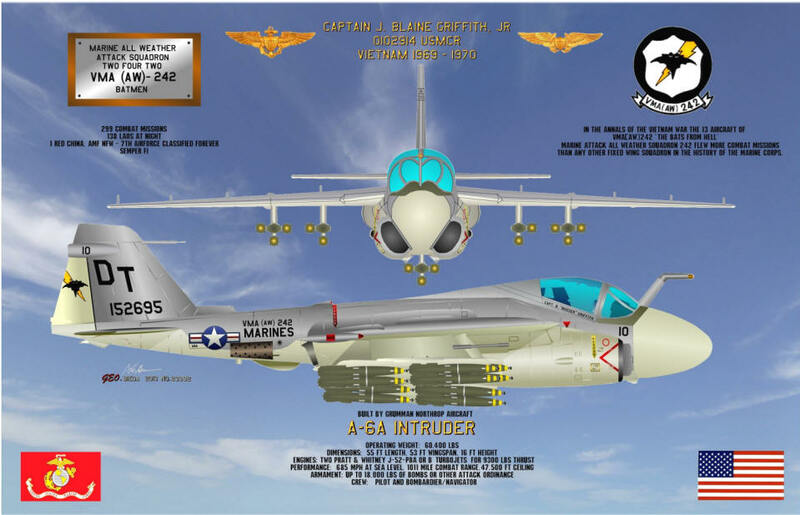 This is an example of a USMC 2D aircraft print call for pricing!